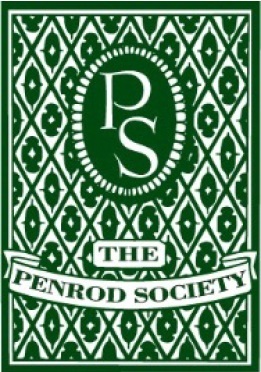 In 1967 a group of twenty two men formed The Penrod Society®. The volunteer organization was designed to support the cultural and educational activities of Indianapolis-area artists, students, and arts organizations. “Penrod” pays homage to Penrod Schoefield, a literary character from Indianapolis novelist Booth Tarkington. The Society is an Indianapolis-based, all-volunteer, not-for-profit 501(c)(3) organization, whose mission is to support arts, cultural, and educational activities and institutions in Indiana. The Society supports artists, students, arts organizations, and various other not-for-profit organizations whose missions and programming include arts, cultural, and educational activities. At its core, the Society is a 52-year-old brotherhood of professionals who work together for the betterment of Indiana. Over its 52 year history, the Penrod Arts Fair® has become an Indianapolis tradition. Each year, over 20,000 fair patrons visit the Newfields campus on the first Saturday after Labor Day. The Penrod Arts Fair® showcases hundreds of artists, and offers live music, performing arts and local cuisine. Proceeds from this one-day celebration provide grants for Indianapolis-area arts and community organizations. In addition to launching the Penrod Arts Fair, The Penrod Society® was also instrumental in creating the Economic Club of Indianapolis and the Prelude Awards. The Penrod Society is a volunteer organization, strongly rooted in Indiana. Specifically, our mission focuses on the cultivation, encouragement and development of public interest in and support of those arts, cultural and educational institutions located in and around Marion County, Indiana, its surrounding counties and the Indiana area in general. The Penrod Society has a proud history of serving our community.